Welcome to VM Global Consulting! We thrive on services and consulting - globally! 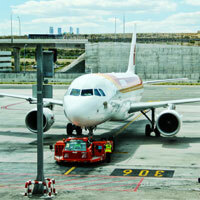 Our core expertise is in Management Consulting and Process Development. We carry out detailed analysis of the business and multiple levels, propose incremental profitability pans and have those implemented, teams trained and where necessary, engage BPO (Business Process Outsourcing) partners whom we have tried and tested and have full confidence in their capabilities and professionalism. Tried and tested methodology with over 60 years of combined software development experience, employing Agile Scrum techniques, guiding the customer through the features of their requirements and with best practice in the management of the project. Delivering projects on time and on target. 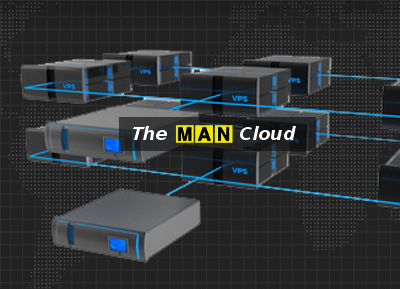 VM Global Consulting has been using "the Cloud" since almost six years to develop, test and deploy its systems and projects. The tools the company has in its arsenal vary from Pricing and Demand Analysis, CRM and e-Commerce solutions through to Guest Satisfaction and Employee Satisfaction and Evaluation systems, fully integrable into existing systems. Approach and solutions for the modern business. We bring success to our clients' vision. We always focus on sustainable value, care for people and deliver results through innovation. Once a partner always, truly a partner. Being innovative and thrive on the success of delivered to our partners - growing their abilities by growing ours through our approach of combining in this order of importance People, Process and Systems. We operate with our Client in mind. Present our solutions with the Client goals in mind and in the most efficient and effective manner reasonably available. As consultants, our business is Confidentiality — a paramount element of being professional, while still affording to each and every client the accumulated and extensive experience of the group. We are on a constant search for new ideas on multiple levels - internally within the team, together with our customers and out in with wide world, tapping into and gathering unfathomable intelligence to the benefit of our Customers. Working as a team greatly enhances the success of any project. We make available and include all our resource and do insist that our Customers take part in the discussion and decision making as well, keeping it all very open and honest with view of the end result always at the forefront of discussion. We thrive in completing our work. The sooner, the better - without sacrificing quality. We know that there is plenty of work that needs completion and we are hungry to get more of it done! Here is a brief story of how VM Global Consulting was started. At the end of that remarkable year (about the time that Apollo 17 touched down on the Moon) our founder was born! It was in that year, we first started our international exploration. Cyprus being our first country of research. Greeting the new Century from the banks of the Thames. Living in style and working equally hard. Getting to grips with the concept of Yield and Demand Based pricing. Finally getting to grips with the German language, while opening 3 hotels in Germany and Austria, and helping the comrades in Russia. Business Process (re)Engineering! Map your business, not done so, you must if you want it to make you money! We completed successfully our first BPM project in London for a world wide operating company. The year of us getting really serious about our work and its growth! Since then, we have been going strong: consulting for companies, like TravelClick Inc., Blackstone Inc., CenterParks UK, MerlinEntertainments to name a few! The year when VM Global Consulting has launched its survey software, provided to its partners at Beehive Hospitality to take the measure of happiness of their customers' guests! The survey platform is then constructed and made available to any partner requiring customer or employee surveys - guaranteeing confidentiality and qualitative assessments, all intrinsic elements of the Consulting business. 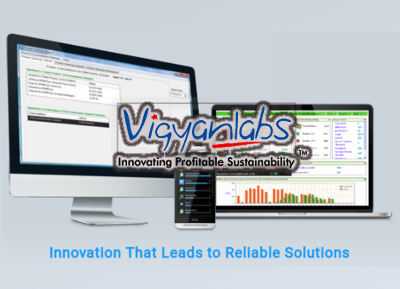 With its vision of growth, VM Global Consulting has extended its service offer with the products of Vigyanlabs, becoming Partners for EMEA region for their IPM+ product, while also providing the multilingual support of that product for that region. Pricing and distribution for hotels or any other businesses with perishable products is what our thought has been in for some time. The tool allows to aggregate and offer the users to find insight and learn the patterns of the needs of their customers and respond in the best of fashion to that demand for profitable results of their companies and to the satisfaction of their customers. That is to say, we truly understand how to measure customer behavior and allow for efficient improvement and design of websites. We don't base our suggestions on what we think is good; we base them on what your customers say is best. With access to a small army of proven, established, and results-driven revenue management experts around the world, we offer a wide range of revenue management related advice, training, staffing and software solutions. The world's most robust, efficient and profitable CRS. Windsurfer CRS is an extremely powerful central reservation management tool that allows for large-scale reservation and customer data management. What Happens After a Reservation is Done? Reservations (from any source) should not be the end of any transaction story. Customers AND hoteliers now can benefit from unlimited, targeted offers, to match exactly what the customers need; and it can all be done with impeccable timing! Until now, selling ancillary products and services was pretty difficult to do right. Selling a room is a core purpose for any reservation, and interrupting that flow is - generally speaking - not a great idea. 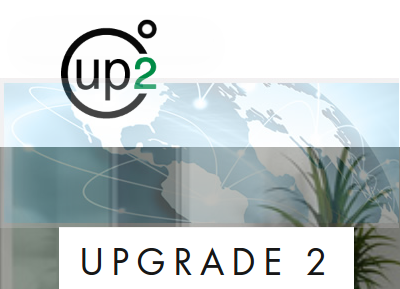 However if you enable a dialogue with your customers after the reservation is done, then you are selling without the risk of disrupting; and upgrade2 is the perfect tool for the job. 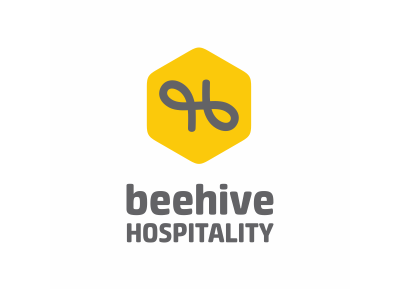 The incepting idea of Beehive Hospitality is the need independent hospitality asset owners and operators have to access high quality, professional back-office support in on-line presence, reputation management, product distribution and pricing and reservations operations so they can maximize their profitability and provide the consistent service to their guests they all strive to. The company is built by a team of asset managers, operators and professionals from the hospitality and retail business – bringing a complete professional experience to the service of independent hotels and chains. Its core values: Fairness, Openness, Professionalism, Honesty, Client Value Add, Responsibility, Friendly Service, are the foundations of all its services. These values are the essential fabric that makes up the firm's relations and attitude to its clients, suppliers and own staff alike. MAN has implemented significant solutions for several blue chip clients. Our consultants and founding members have extensive contracting and consulting experience both in Britain and overseas for blue chip companies. These include Clifford Chance, Clermont Club, Thistle Hotel Group, Foseco, Le Meridien Hotels and Starwood Hotels and Resorts. We work with “Best of Breed” open source or proprietary systems depending on the client’s need. 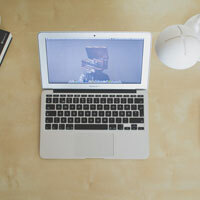 Would you like to sell more rooms online? 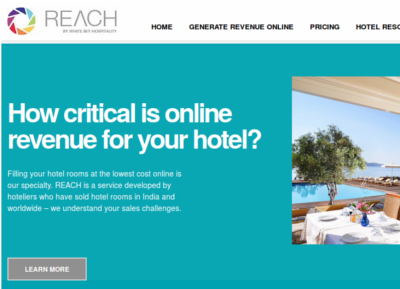 REACH offers a seamless, wholesome approach to maximising your hotel’s online revenue. It is a trusted service by hoteliers for hoteliers that works all year round to make your hotel profitable. How critical is online revenue for your hotel? Filling your hotel rooms at the lowest cost online is our specialty. REACH is a service developed by hoteliers who have sold hotel rooms in India and worldwide – we understand your sales challenges. REACH is an online demand generation service that works for you. Whether you are a hotel owner or manager, we help deliver excellent Return on Investment – because it is tried and tested & benefits from over 40 years of hotel online marketing & distribution experience. Over the years we have helped design some of worlds largest IT system. In the process, we have observed the sever wastage of energy that happens in IT infrastructure. We have built IPM+ suite of software product to tackle this problem at the very root. IPM+ helps you save energy and in turn, helps our environment as well. IPM+ enables Intelligent Power Management TM in mobiles, PCs and data centers. We commercialized the product in 2010 along with filing our first United States Patent for fine-grained, non-intrusive, distributed IT infrastructure management system. Our consulting service aims at being compatible and freedom orientated. The consulting team supports any solution which is beneficial to our clients. 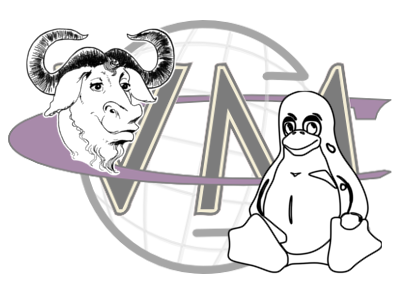 GNU/Linux provides an excellent platform where necessity of large server deployments and even desktop environments are called for. 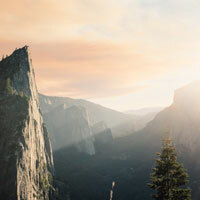 While Open Source is cautiously adopted through out major corporate institutions, with support form Canonical, IBM and HP, as well as that being the de-facto system running the Internet, it is our belief that high quality stable software deployments are a necessary and cost effective future for many organizations. VM Global Consulting has deployed the Open Source solutions on multiple scales with great success however there have been time when other options were considered and implemented (and all not without prior consideration of all factors in hand). VM Global Consulting LTD is the sole owner of the information collected on this Web site. We only gather information we need to serve you better and will not - without your consent, - sell, share, or rent this information to others in ways different from what is disclosed in this statement except in cases where in good faith we believe that the law requires us to do so, it is necessary to protect VM Global Consulting LTD's rights and/or property, or if circumstances necessitate acting to protect the personal safety of staff or of the public. You are on the Internet! We do collect information about our visitors. 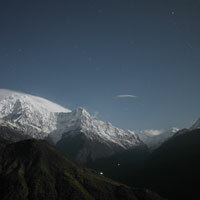 However it is aggregated and fairly anonymous — Trust us - we know about statistics and aggregation and privacy... Besides we are not interested in our visitors specific origins, what they drink, dress or use. We want to know who globally knows about us. We are vain like that! So, unless you live outside of this planet (defined by the reach of the Internet and its WWW), and Google does not know where you come from, be sure that we will know the country from which you access us, the browser which you use, the operating system you use, the time of day you did visit, which and how many pages you saw and how long you stayed here and a few other items which you can find from the data that Google Analytics tool is picking up from your browser and computer voluntarily. What you did and which page/section you looked at. We are curious and want to know more things about you — not for other reasons but because we want to be friendly with people who come and visit our corner of the Web — but we think privacy should be kept private, and since we are in the business of being private and confidential, we appreciate the boundaries of that. Plus we make sufficient money from consulting so selling your details to anyone is none of our concern.